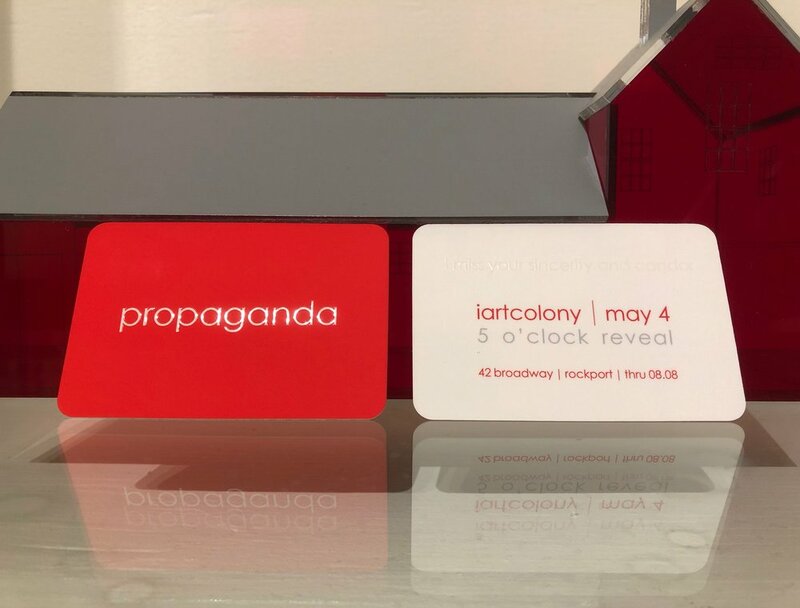 propaganda is a contemporary art exhibition — and happening. 18 multidisciplinary artists will deliver sincere responses to propaganda through painting, drawing, video, poetry, representational and conceptual fine art. Performative artists will engage and interact with the audience throughout the opening reception via spoken word, ritual — and a special guest propaganda DJ performance by Mark Knudsen. — @5pm, Darin Murphy, Head of SMFA Library at Tufts University, will be acting as docent, conducting tours of the exhibition and lead conversations throughout the evening — Iconoclasm 101 — why are we in a gallery looking at art? What decisions were made, by whom, to validate this experience? What might this say about our visual and informational literacies, as well as institutional critique, both individually and societally? — @6pm, Monica Lynn Manoski — in Public Service Announcement, explores and questions what it means to be human. Her performance uncovers the unconscious ideas that shape our perceptions of the world.